e-Commerce Marketing serves a multi-channel customer. We have analytics, models, strategies and services that will drive your customer base forward and help you build a strong, profitable retail brand. Over 2 billion customer contacts to help you grow faster! e-commerce Marketing is about mass customer personalization using digital marketing tools and technologies. Every customer experience is unique and every marketing outreach should reflect the needs and wants of a diverse customer base. TBG Marketing is a digital, database and direct marketing agency with deep experience in e-commerce and the development of digital properties. We are a BIG Commerce partner with applications integrating into the cart to drive customer behavior including email marketing, marketing automation, digital advertising, browser and cart abandonment and remarketing advertising. Let us show you how to build and market an amazing retail marketing strategy. Designing, styling and constructing your e-commerce site takes thought, preparation, a willingness to change and adapt for shifting customer needs and wants. Design and styling are there to make the user experience a superior one for your customers which includes finding products, accessing service, ease of transaction and speed of checkout. TBG Marketing is a Volusion, Shopify and Big Commerce Partner and experienced in designing and delivering Magento platforms. Let us help you build the site your brand deserves. Designing and Styling your site takes time, patience and a willingness to change to adapt to customer preferences. 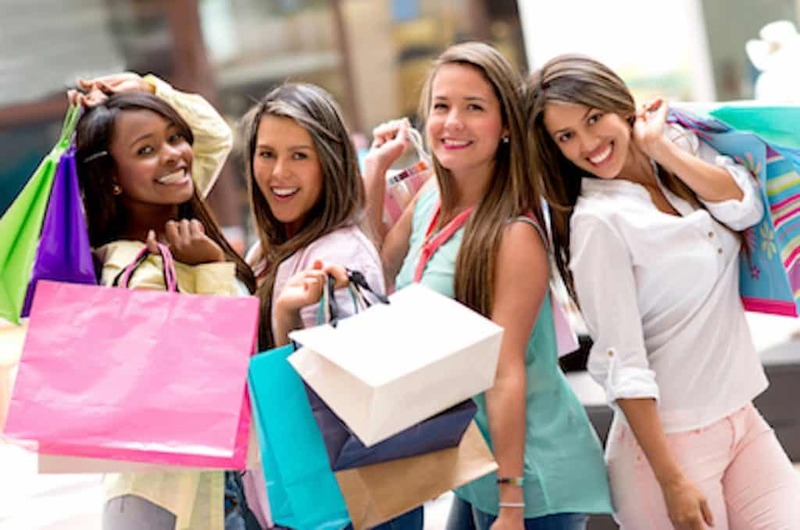 Things change and in today’s retail environment the trends move very quickly. Whether you have built an e-commerce store or this is your first, we have the tools and experience to design and style the store and cart so that your customers has the best brand experience on-line. Product and Category design enable customers to navigate the site, collect information and prepare to convert to a buyer. The Category section sometimes gets short-changed with a simple banner but it’s a great place to add content to inspire your customers with a product collection. Product design is about representing products visually, informatively and in a manner easy to select and purchase. E-Mail Marketing, while a good starting point, often ends up with retailers simply broadcasting the same offers and images to all of their customers. At TBG Marketing, we design digital variable emails so that content, images, styling and offers are all organized to convert customers. We also provide services to build CRM, clientele strategies and marketing automation as well as SEO and Pay Per Click Optimization. Our approach to analytics is simple, we view everything your business does through the lens of the customer. Often retailers are obsessed with product and category performance; we show the performance in terms of customer adoption, transaction and margin performance so that customer profitability can be fit to your product mix and strategy. Better customer insights drive higher revenues and profits. At TBG Marketing we implement e-Commerce through six components: cart, catalog, orders, customers, theme, and marketing. Cart design and strategy covers checkout process, shipping, payments, offers, loyalty and preference center integrated to a registered user to accelerate closing – all preferences known and selected. The Home Page is the first great impression and needs to be brand right while still engaging the customer to search the site and convert to a buyer. 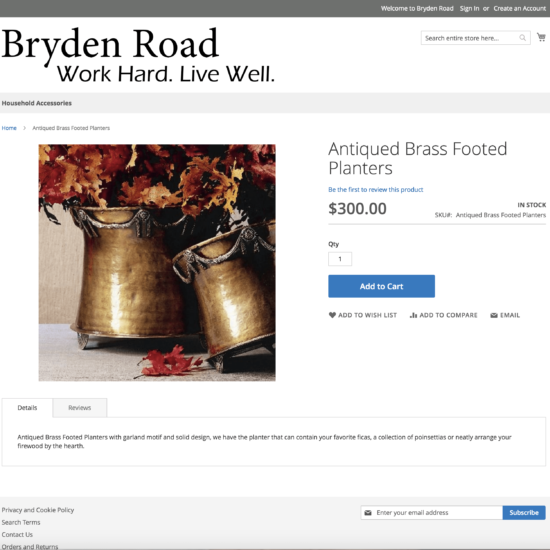 Simple filters and links in header and footer to navigate the customer to conversion. Site navigation, categories, subcategories, filters and search enable customers to move through the site quickly to find what they want. Intelligent search, auto-fill and recommended products help keep customers on track. We build e-commerce sites with a content and media strategy to engage customers in the promise of the brand. Whether educational, entertaining, lifestyle, or active we use video, audio, branded content, manuals, and interactive apps to keep customers engaged and drive higher conversion rates. Design and styling structured to engage customers on high value products by delivering superior information and tools to select a product. Video, Content, Reviews, Ratings, Manufacturer Information all create a compelling reason to buy. Payments enable customers to buy, alternative payments give customers access to credit, other secure methods of paying, financing and rewards programs. Building a payments architecture to satisfy customer needs makes checkout and conversion increase. Designing Order pages, statements, inserts and emails enables a fully branded communication with the customers and builds trust yielding a higher conversion rate. Whether original invoices, partial shipment or final invoices they are the last contact from e-commerce. Service & Help Desk design requires proper branding and tools to enable customers to self-serve simple things and get support on complex issues. Returns, exchanges, tracking, order history, all accessible through customer preference center. Outbound communications including email, text messaging, browser messaging, ads, direct mail, catalogs. mobile stores, social stores, marketplaces and kiosks all aligned in messaging, brand design and strategy to engage customers in channels for best conversion. WE WILL SHOW YOU YOUR CUSTOMERS IN A WAY YOU HAVE NEVER SEEN THEM BEFORE. GROW FASTER. Many businesses use a variety of means to profile customers and allocate marketing dollars. Simple profiling based on spend, frequency and recency of purchases can provide an adequate segmentation when starting off. But advanced analytics is an arrow in our quiver. We can provide you with meaningful customer segments that not only leverage transaction behaviors, but also preference, perception, geography, life-stage, lifestyle and much more. These customers are clustered to produce segments of customers with similar buying, social, emotional, intellectual and life-stage behaviors that let you speak to them “individually” through multiple brand personas. At TBG Marketing we use our marketing automation arm, dashfacts.com, as a starting point and Brand Personas are the result. We help you to build Personas based on behaviors from multiple sources of data that you collect or we license. We cluster customers together based on more than just what they spend but we show you HOW they spend and WHY they spend with you. We even provide a comprehensive look at all the spending your customer may have across all the businesses we support to give you an overall view of discretionary spending and consumption habits. Why do we build personas? Because effective communications are based on “knowing the customer” and virtually every business has multiple types of customers with whom they need to communicate. Brand persona’s include images, price points, offers, channels, seasons, etc. that help you pinpoint marketing and assess new customers rapidly while evaluating the profitability of each persona separately and collectively for your business. But if your business is not driven by e-commerce, we can include catalog, retail and other data to build personas that are marketable across your business and can increase customer performance. Two customers very similar in spend and very different in behavior. How well do you know your customers? Do you know a Brand Enthusiast from a Brand Wardrober? You should. Because not knowing the difference means investing marketing dollars the wrong way in one of them. Can you guess which one? At TBG Marketing, e-commerce marketing is the ultimate digital marketing arena. Our experience with design, development, integrations, shopping cart management and design and digital marketing services can accelerate growth for your e-commerce business. TBG Marketing is a proud BIG Commerce partner looking for e-commerce businesses ready to go to the next level – is that you? If you are ready to extend and build your e-commerce business or if you are just starting out we have solutions and services that can ease the process, get you in market faster and help you access and manage marketplaces on Amazon, e-Bay, Facebook and more. Take a minute and fill out the form, we will contact you so we can sit down and listen to what you want to do and where you want to go. Fill out the form – put TBG Marketing to work for you today.